Stay in an old medieval court, enjoy a cooking class in masseria with a local chef and learn all about a prestigious winery and its wines. Pick up from the airport and arrival at your hotel. 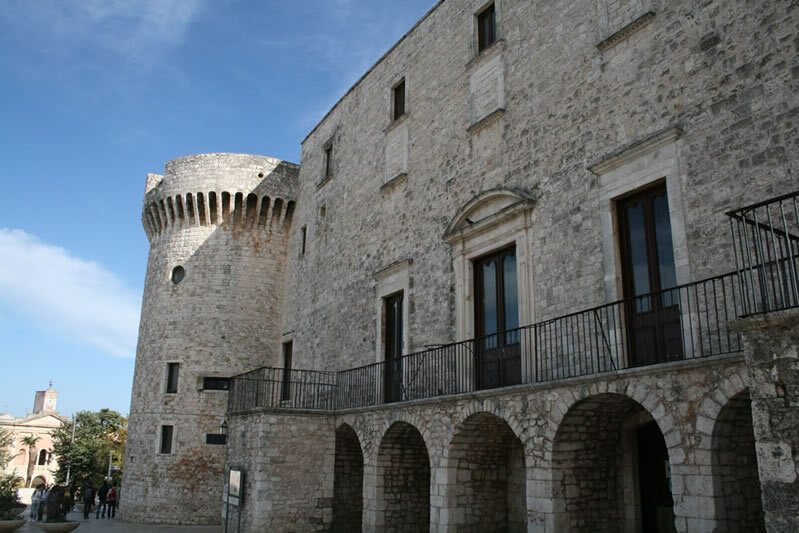 Explore Conversano with its legendary castle, cathedral, San Benedetto Monastery and city walls before enjoying an evening in the lively old town, full of restaurants, bars and cafès. 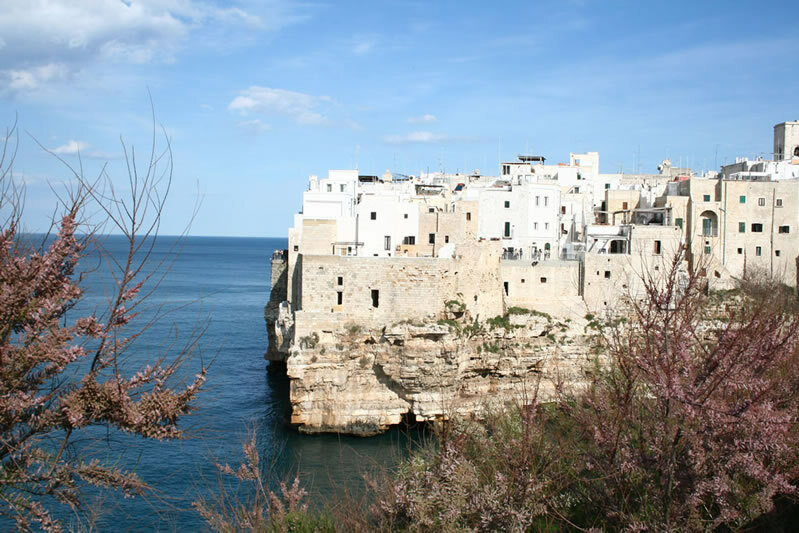 Visit Polignano a Mare, village built on cliff edges, with terraces directly on the sea. 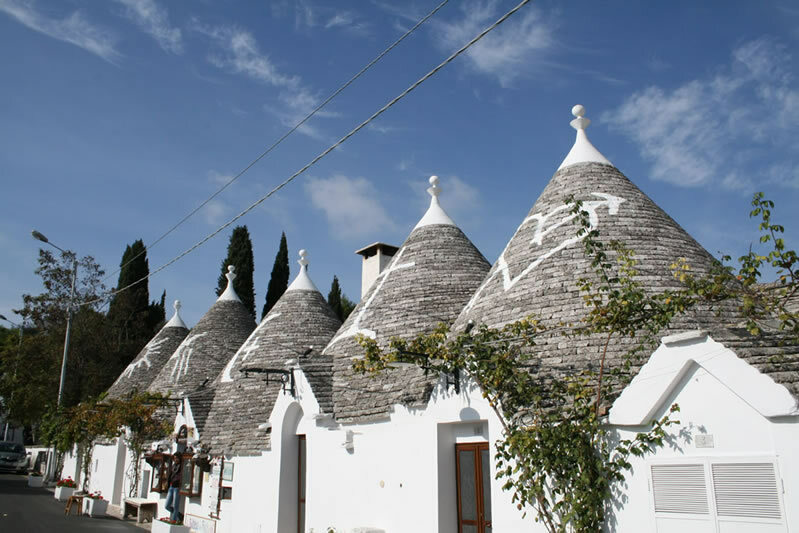 In the afternoon, a private driver will take you to Alberobello for a private guided tour of UNESCO-protected Trulli districts. Enjoy a delicious food & wine tasting in a winery at the end of the tour. 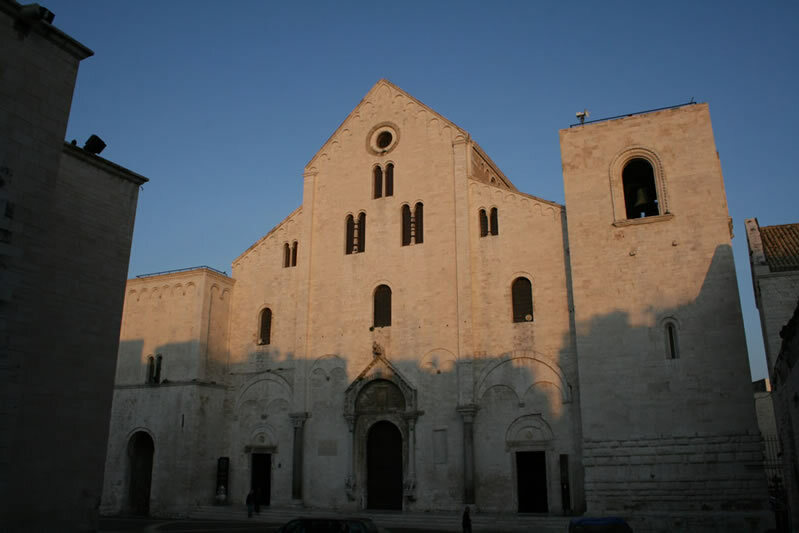 Take the train to the Apulian capital city, Bari, and walk to St Nicholas Basilica, the Swabian castle, the cathedral, the main squares, the theatres and the seafront. 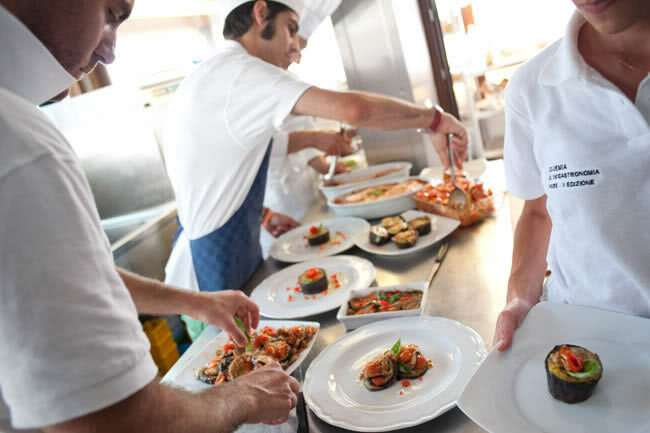 In the afternoon go back to the hotel and get ready for your cookery class in masseria to learn some local recipes that you will then taste at dinner. 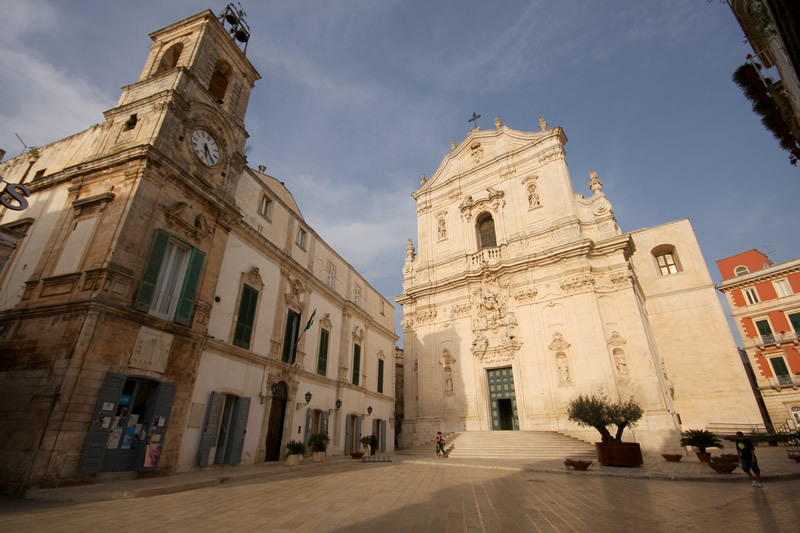 Visit the enchanting medieval coastal towns of Barletta, with its imposing castle, and Trani, with its magnificent cathedral on the sea. 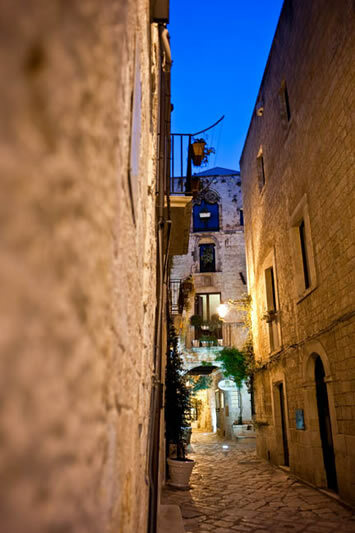 4 nights B&B (based on 2 sharing) in a 4* hotel in Conversano. 1 Cookery class in a masseria followed by dinner (including private transfers). 1 Private guided tour of Alberobello followed by a food & wine tasting (including private transfers). Apologies for delay in replying to your email but as you can appreciate it has been busy on my return to work. I did not want to rush off an answer as our experience in Puglia was so positive from start to finish. The transfer from the airport was seamless. The hotel Corte Altavilla was excellent. The staff were friendly and helpful. The restaurant was excellent. I am a vegetarian who does not eat fish and mentioned this on the first night. I was given choices and did not have to eat the same dish twice and when I turned up the second night I was recognised and offered different options. This was the theme of our visit . We found EVERYONE we met from staff, to strangers helpful and wanting to ensure we were happy with our experience. We even got on the wrong train and the conductor on the train ensured we got off at the right station to return and escorted us to the right train. The trip to the cellar was great and Vito very friendly and informative. He even spoke to our driver who very quickly agreed to take us to Alberobello though it was not on the schedule. The cooking class was fantastic Maria and her colleague were very welcoming and explained everything and it was so delightful to sit down and eat in an Italian home. We were able to ask loads of questions about the area and way of life. We got a taxi to Pugliana si Mare (may be a misspelling) and it was a highlight. What a place. From start to finish it was a great break. Very relaxing indeed and am looking forward to my next visit already. Many thanks for checking in and am glad to have the opportunity to give such positive feedback.